If you’re a resident of Charlotte, NC and surrounding areas, you’re probably privy to the unpredictable weather conditions that characterize our region. In one month alone, you’ll see thunderstorms and ice storms from one week to the next. Both can result in damage to the trees on your property. 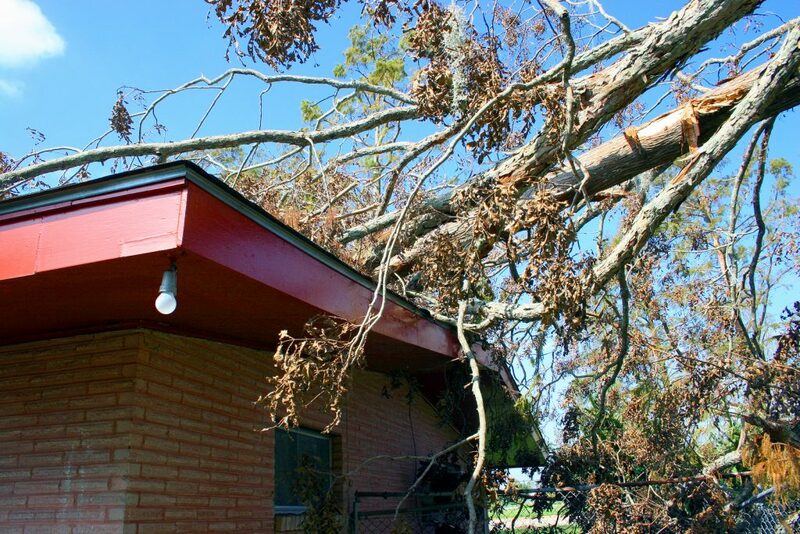 Let our Charlotte tree service take care of emergency storm damage that results from fallen trees and limbs – either from the high winds of summer tornadoes and hurricanes or the heavy weight of ice and snow during the winter months. Harsh weather conditions can cause tree branches to weaken or tree roots to fail, which can be dangerous and pose a threat to your property. Don’t wait until it’s too late. Don’t wait until a tree has fallen on your house. Our tree care experts can examine your trees and perform precautionary services to ensure you don’t have to deal with property damage later on. Potential hazards are not always obvious, especially to an untrained eye. Our certified arborists can inspect for potential tree failure by doing a climbing inspection or analyzing for decay in your tree branches, stems or roots. Regular maintenance is also essential to preventing damage that often occurs during summer and winter storm seasons. Pruning helps to remove dead or hanging limbs that may pose a threat. Whenever possible, it’s important to prevent problems before they happen. In order to protect your property from damage and get the most out of your real estate investment, it’s important to hire a tree care company that is experienced in the industry. Our staff is extremely knowledgeable, certified and fully insured. We will treat your property just like it’s our own. We are also here to clean up any messes that result from storms and harsh weather. If you recently experienced property damage due to fallen trees or tree limbs, give us a call, and we’ll have your landscape looking as good as new in no time! All estimates are free can may be done by phone, email or on-site. Simply give us a call at 704.207.0842, or fill out the form on this page and one of our tree service experts will be in touch as soon as possible! Also, if you are ever in need of the best stump grinding cleveland ohio has to offer be sure to check out our friends in Cleveland.